Timothy Hoffman is an environmental law attorney in Dinsmore's Dayton office. 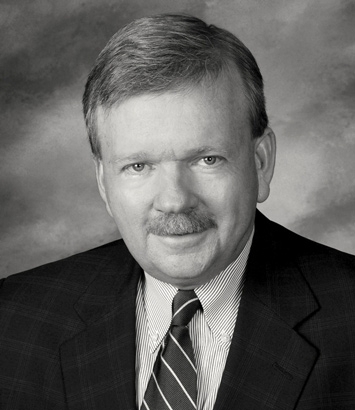 Tim is a member of the firm’s Board of Directors. With more than 30 years of experience in environmental law, he concentrates his practice defending clients in civil penalty and alleged environmental crime cases, as well as handling a broad range of environmental matters in virtually every environmental media. This experience includes pre-purchase environmental due diligence in real estate, corporate transactions and negotiating favorable environmental permit terms. The most rewarding part of his practice involves day-to-day counseling and advice of an ongoing nature to clients, helping prevent future potential enforcement problems. As an environmental defense attorney, Tim has successfully handled many civil penalty cases where initial proposed penalties ranged from $100,000 to more than $1.8 million and has a sustained track record of saving his clients thousands of dollars in transaction costs and civil penalties with resolution of nearly 100 percent of these enforcement cases before trial using negotiation and alternative dispute resolution methods. In addition to saving legal fees, penalties and transaction costs, Tim’s clients often preserve their ongoing working relationships with environmental regulators after resolving a case. Tim has resolved numerous white collar crime investigations using a similar strategy. He started his environmental practice as in-house counsel to a multi-billion dollar conglomerate that produced rubber and plastic products for automotive and non-automotive applications, as well as wall coverings, luggage, and other industrial and consumer products. While there he defended the company in environmental enforcement proceedings around the country and helped develop the company's first overall environmental compliance and auditing programs for its 23 domestic and international manufacturing facilities.